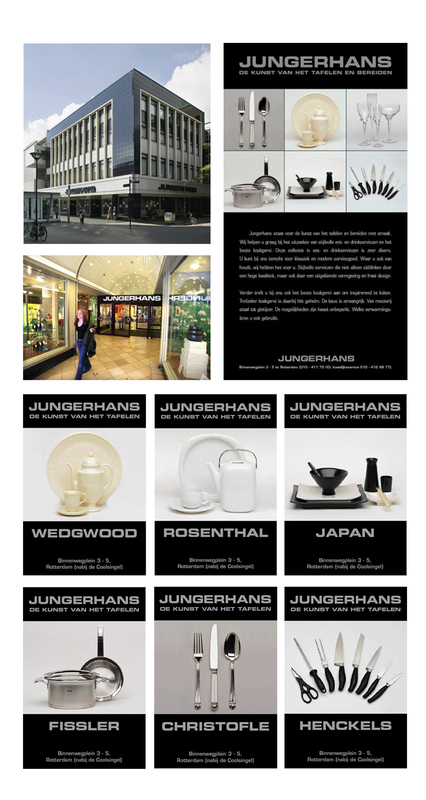 Jungerhans – an advertising campaign. Once (till 2007) one of the most exclusive warehouses of Rotterdam. Here you could buy exclusive tableware and crockery brands like Wedgwood, Rosenhal, Christofle, Fissler or Henckels. Jungerhans “The art of dining”. 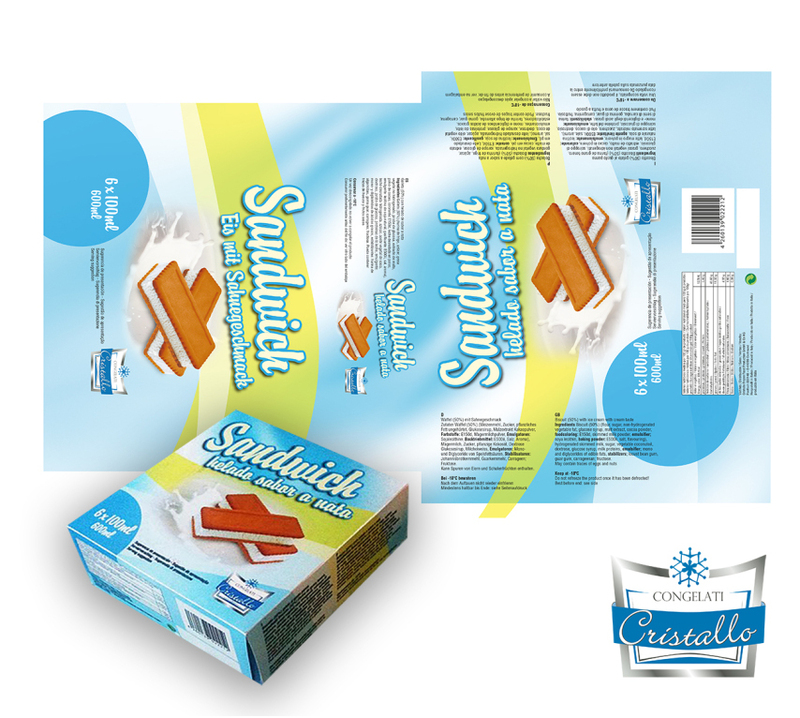 Concept and design of “Sandwich, helado sabor a nata” for Cristallo congelati. Fresh ice cream packaging for the German and Spanish market. 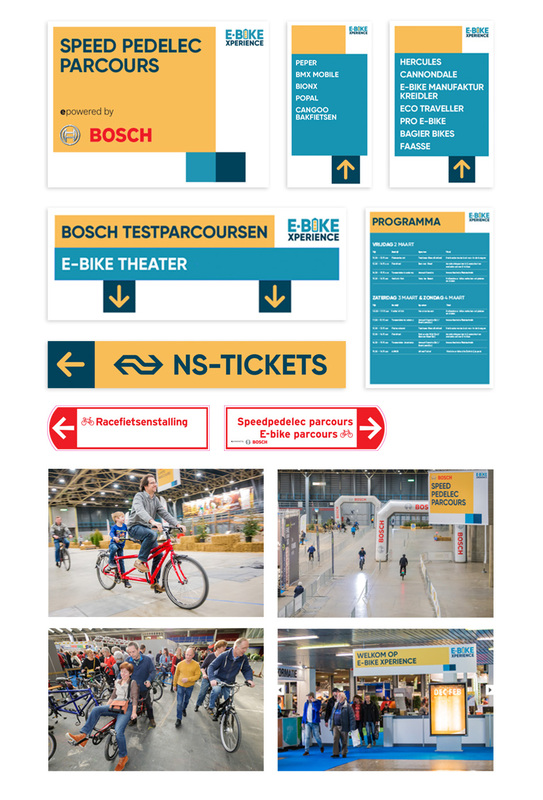 Concept and design of the ” Rijdende Rechter” (The Travelling Judge – a TV program) Schiphol wall with a longitude of 80 meters. 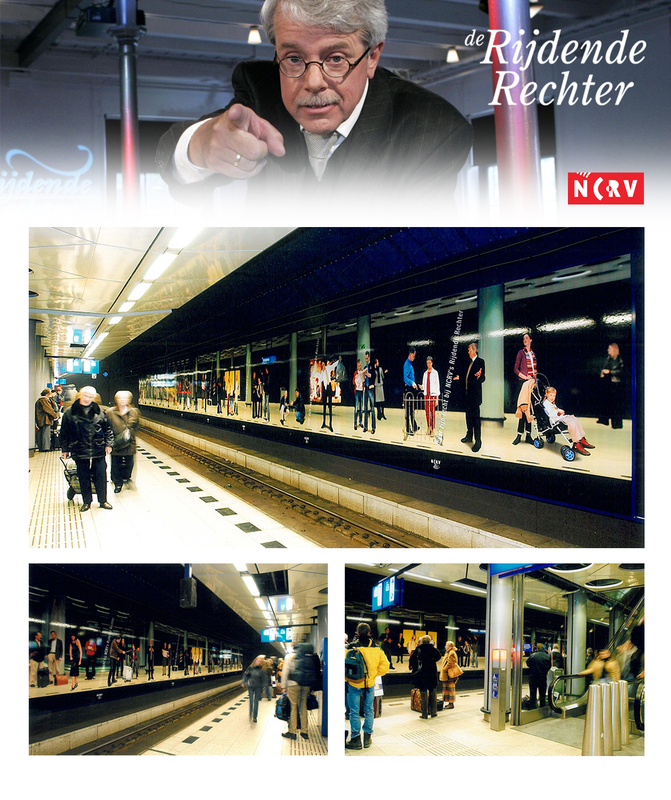 The NS train station is located directly below Schiphol Plaza where the wall is located on platform 1. The Travelling Judge solves small conflict situations between neighbors or family members on location. 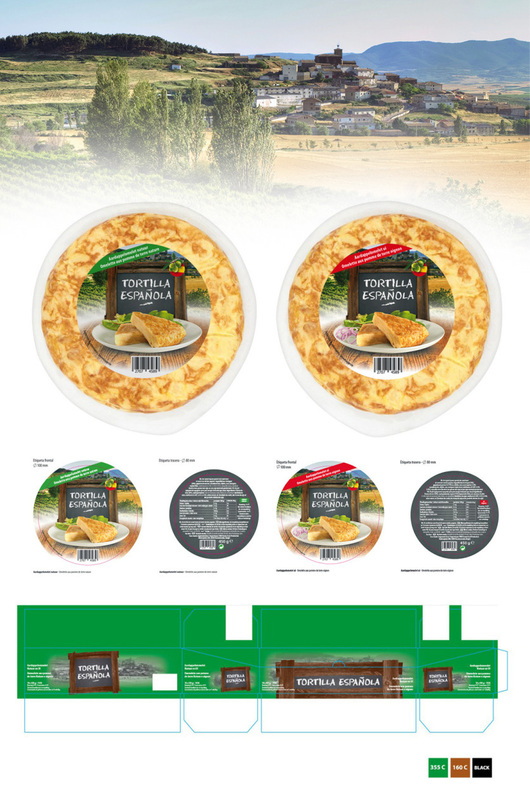 Packaging design (white label product) for Nestrade Madrid. The Spanish tortilla is widely eaten in Spain and some Spanish-speaking countries. While there are numerous regional variations, the basic version is made only with eggs and potatoes, and possibly onion. The addition of the onion is often controversial and usually related to the tenderness of the local varieties of potatoes. Rabobank Group is an international financial services provider operating on the basis of cooperative principles. It offers retail banking, wholesale banking, asset management, leasing and real estate services. 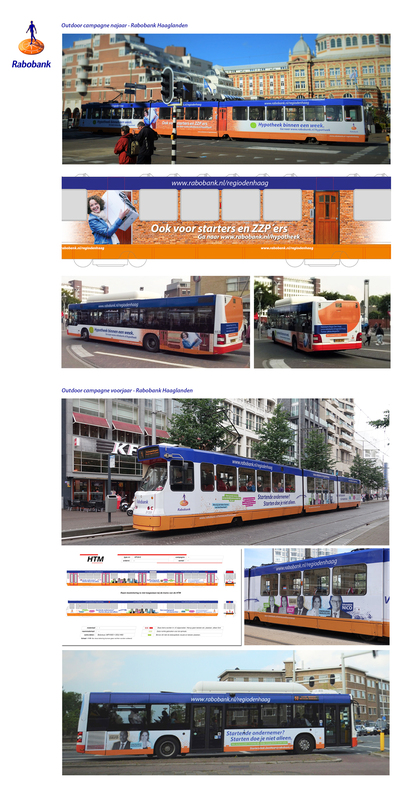 Concept and design of 2 different campagnes. 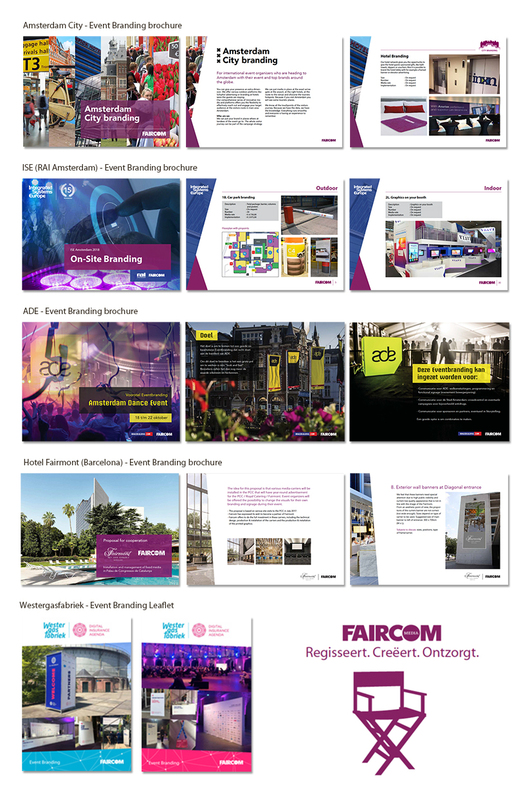 The first one for starters in the housing market with special attention for entrepreneurs. Your mortgage in one week! The second one is also focused on entrepreneurs. The Rabobank is offering a helping hand to start and guide their business activities.